The Gibson Robot Guitar was presented with the award for 'Best Of Show' on Sunday 6 January at the annual Newstips Cherry Picks event at the International Consumer Electronics Show 2008 in Las Vegas. Since its inception in 2005, the Cherry Picks award has become renowned for highlighting trend-setting technology and recognising the most exciting and innovative new products each year. Previous winners include the Celestron Skyscout, a GPS based device for amateur stargazers that identifies and provides information on celestial bodies, constellations and the like. 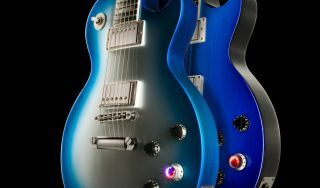 This year, the Gibson Robot Guitar was up against a diverse range of competition from a hybrid vehicle to the latest home and business gadgets. Click here for more from MusicRadar on the Robot Guitar.